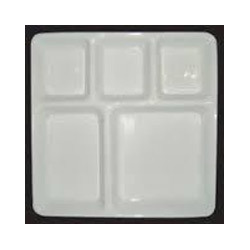 Owing to our extensive years of industry experience and profound market understanding, we are providing a wide range of Plate Set. 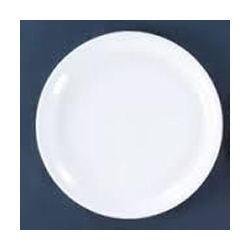 The offered plates are precisely manufactured by our team of professionals possessing years of experience in their concern field. These superior quality products are broadly praised for their perfect finish, attractive designs and durability. Our products are demanded in domestic as well as international markets. We offer these products at industry leading rates within the agreed time frame.We are leading manufacturer and supplier of Restaurant Crockery. Acrylic Printed Plate Crockery Being an eminent enterprise, we are instrumental in providing our clients a high quality range of Acrylic Printed Plate Crockery.These crockery sets are highly demanded by customers for their simple design, sturdy construction and durability. Some of our Acrylic Crockery includes acrylic katori, acrylic soup cup, acrylic fruit bowl etc. Our firm is a reckoned enterprise offering these superior quality Acrylic Partition Plates. Admired for offering great resistance to stains and abrasion, these Thalis are readily accepted in the market. Owing to great shelf life and trendy designs of these products, we have strived towards the excellence in the market. Acrylic Partition Plates offer great resistance to stains and breakage, due to which, we have earned great admiration from our clients. In order o cater to the changing and ever increasing demands and requirements of our customers, we have brought forth a distinctive and specialized array of Acrylic Bowl. Manufactured making uses of premium quality raw material and cutting edge technology and tolls, these products are extensively demanded in the industry. 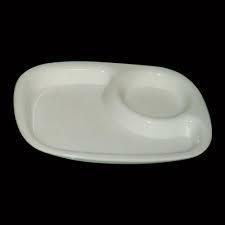 We provide theseAcrylic Bowl to our patrons at highly economical prices. We feel proud to introduce ourselves as the well-known manufacturer and supplier of Restaurant Crockery. 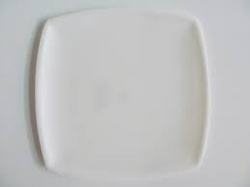 The offered Restaurant Crockery is a unique fabrication for restaurants. 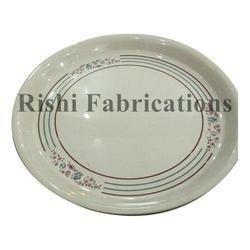 Our supplied Restaurant Crockery is used for serving food and fruits. The offered Restaurant Crockery is easy to wash and clean. 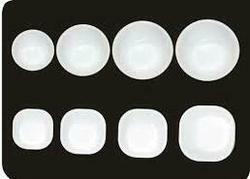 Our supplied Restaurant Crockery is very affordable. Our firm is a reckoned enterprise offering these superior quality Acrylic Plates. Admired for offering great resistance to stains and abrasion, Acrylic Plates thalis are readily accepted in the market. Owing to great shelf life and trendy designs of these products, we have strived towards the excellence in the market. Acrylic Plates products offer great resistance to stains and breakage, due to which, we have earned great admiration from our clients. 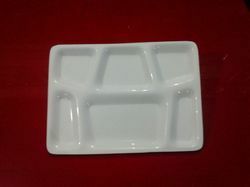 Reinforced by our immense industrial knowledge, we are offering Acrylic Square Plate to our valuable patrons. Presented products are manufactured at our well-fortified fabrication unit employing durable and breakage proof material and with the help of sophisticated machinery to meet set industry guidelines. Quality team of our organization tests all Acrylic Square Plate on predefined parameters of quality in order to offer defect-free variety. Supported by highly dexterous personnel, we have involved as an affluent provider of Acrylic Plate. Presented Acrylic Plate are designed making use of superior-class basic material altogether with hi-tech techniques and tools by deft executives.